I have a question regarding the Eton Grundig Satellit’s DAB function – or rather: It’s missing DAB function. 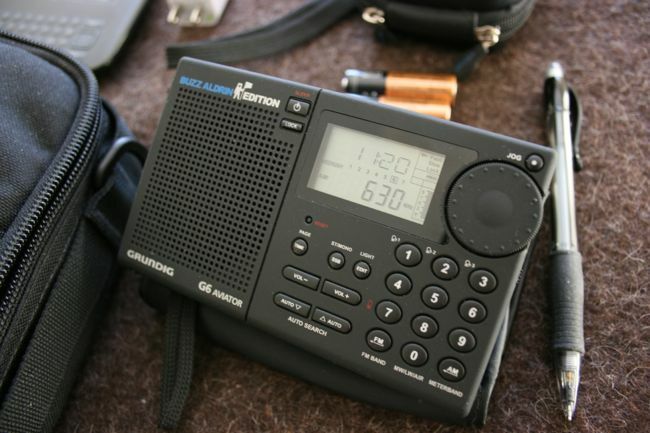 The Eton Grundig Satellit was reviewed in WRTH 2016 by John Nelson, demonstrating its capability of receiving DAB (Digital Audio Broadcast in Europe – some politicians want to shut down FM-band and replace it with DAB only). Since I live in Denmark, where DAB+ is widely implemented as a supplement of FM broadcasts, I do find this function unique, since it must be the only shortwave radio with DAB on the marked. The SWLing Post have had some reviews as well as a link to Amazon.com, which tempted me to buy the “Executive Edition” at an attractive price. 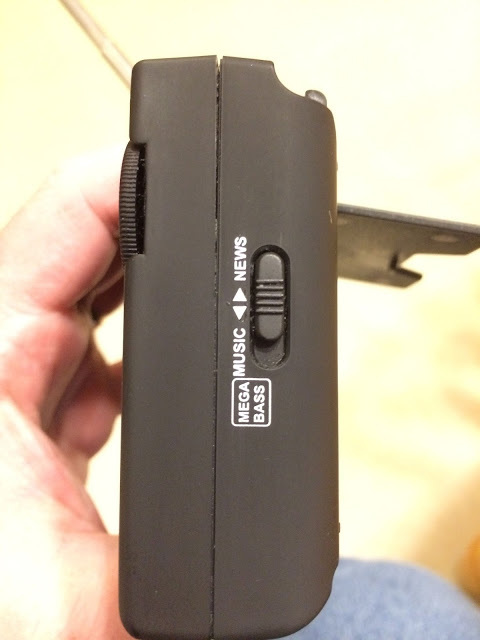 It arrived in early December 2018, and I am happy with most of the features of this radio. 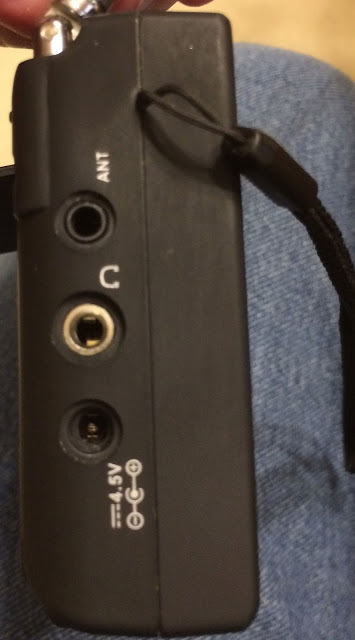 Good audio, sensitive and a nice size for a portable. 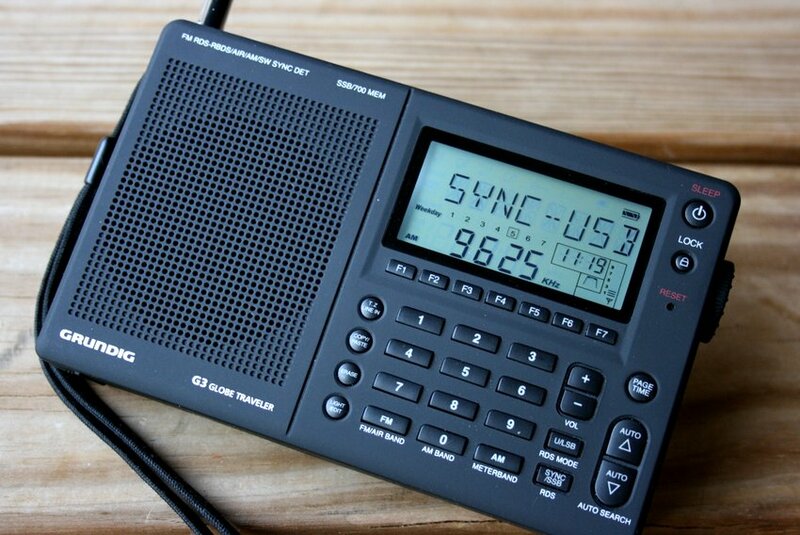 I do agree with other reviewers regarding the mediocre sync-function, but I got truly surprised regarding the selectivity on shortwave, which on my model is poor! Strong broadcasters can easily be tuned 5 kHz away from their “true” frequency – even when putting bandwith to 3 kHz, there is not much difference in audio on VOA on 15580 kHz tuning to 15575 nor 15585 kHz. But when tuned, reception is stable and audio is good. Another very weird issue is the “double-click” feature, where first press on any button activates the light only – and the user has to press again to actually activate button function! receiver of course would not require DAB. someone has found a solution. Very good question, Michael. Frankly, I had forgotten that the EU version of the Satellit had a DAB function although I do recall the WRTH review. Post Readers: Do you have any insight? Have you successfully used the EU version of the Satellit to listen to DAB broadcasts? Please comment! This entry was posted in Digital Audio Broadcasting, Digital Modes, News, Shortwave Radio and tagged Etón, Etón Satellit, Grundig, Michael Meyer, Satellit on February 14, 2019 by Thomas. Yes, the S-8800 without a doubt has more features than the Field BT. However, the S-8800 is slightly more than twice the price of the Field BT ($268 vs. $130)! Does the performance of the S-8800 equate proportional to the price difference? Shortly after I made my Excel comparison table, Thomas published video comparisons of the S-8800. I very much appreciated the review and video comparisons that pitted the S-8800 against several popular portables. It gave me a baseline to set my expectations. However, those videos didn’t answer my question: “should I purchase the S-8800 or the Field BT”? I contacted Thomas and I told him “we need an S-8800 vs. Eton Field BT” video comparison so SWL’ers have a true lunchbox vs. lunchbox comparison! I volunteered to purchase an Eton Field BT and have it delivered to Thomas for him to compare the two (after which he would forward the Field BT to me). After he hesitated, I replied: “what if I buy the Eton and we meet in North Carolina to compare them together”? Fortunately Thomas readily agreed and I made the 6.5-hour journey from Southeast VA to Mount Mitchell State Park for the Lunchbox Showdown (864-miles roundtrip on my odometer)! Thomas and I had a limited amount of time. I arrived at noon. Thomas and I had 8-hours … and that included time for Thomas’ Parks On The Air (POTA) Activation, our S-8800 vs. Field BT comparison, we had to eat (it was a long drive for me! ), and Thomas brought many other toys so we had to carve out time to “play radio” (and I can’t drive 400+ miles to Mount Mitchell and not walk to the summit of the highest point east of the Mississippi River!). Luckily conditions were as ideal as I have ever seen them (evidenced by the fact Thomas made contacts from TX to the Azores with his Elecraft KX2). So please keep in mind, what follows is in no way a complete comparison. And to be clear, it was never my intention to review either receiver (there are many people more competent than I am that have already done this – Thomas among them!). My interest re: these two models is primarily limited to each’s shortwave performance (I use a Sangean PR-D15 and a Grundig YB400 for AM DX, I prefer my Sangean PR-D15 for FM and I own 12 shortwave receivers). Thus our goals were to find and compare multiple representative SW signals. Thomas is obviously familiar with local AM stations in the area that he uses in his comparisons, thus we sought out a few AM signals (I recorded one to illustrate one huge difference that we both perceived in the two radios). Due to time, hunger, and eventually darkness we had to call it a day at 8 P.M. I used my iPhone 6S to record the following comparisons. This was the first time I recorded shortwave signals. In retrospect, I wish I had made the recordings longer but at the time I was unsure of how much memory each recording would used, how much time it would take to upload, etc., so I kept everything at 1-2 minutes. As you will see, I recorded nearly all of the signals with the backlight off. You’ll see me reaching in, on Shootout 5, to tune off frequency – then back on – simply to show how the backlight would/or would not affect the weak signal on the Field BT (you’ll also see that it’s harder, outdoors, to read the Eton display without the backlight vs. the clearer Tecsun S-8880). The Eton Field BT has its own SW RF Gain (a huge bonus) and you will see me reach into the field of view once or twice to fine tune the Field BT on weaker signals. And if you’ve studied my comparison table, you’ll see that the S-8800 has multiple bandwidth choices whereas the Field BT only has Wide & Narrow settings. You will see me occasionally change the BW on both. I preferred not to speak during the videos as not to mask the audio of the signal thus I will set-up the specifics of each video with each individual link to my new YouTube Channel, SW Hobbyist, that I set-up to host these (and hopefully many future SW-related videos to include radio recordings & antenna comparisons). * Wow, that’s a strong signal – is this FM?! Thomas and I both felt that the AGC of the Tecsun S-8800 was very slightly better (more stable – absolutely no “chug”) than the Eton Field BT (again, a very subtle difference). We both liked the sound of the Eton Field BT much better – it was crisp, full and just seemed to “pop” through its grill (see Shootout #7). The huge thing we both disliked with the Eton Field BT is its tuning dial. Yes, it has Q-Tune so one can jump from 5000, 6000, 7000, etc., with the push of a button but the tuning dial (even in “Fast” mode) is painfully slow and deliberate (dare I say horrible in comparison to the S-8880?). 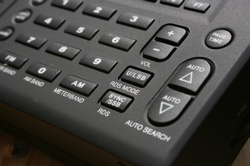 We both love the fact the S-8800 has a remote. But even without the remote, the S-8800 was much more pleasurable to manually tune. Not to speak for Thomas, but I believe we generally felt [overall] that the SW signals were essentially close enough to call even … the edge to the Tecsun on a couple and the edge to the Field BT on a couple of others (I specifically remember us both commenting on an Arabic language broadcast from Radio Saudi Arabia where we both felt the Field BT was a very clear winner – that was one of the signals that I did not record). The better “sound” of the Field BT’s speaker may have influenced our opinions – a sound that was markedly better on FM, better on AM, but a sound that was much closer on SW.
My final thoughts and conclusion: Radios are like vehicles. No one vehicle is best for everyone. Each vehicle has a specific purpose and each has a subset of features. I own a large travel trailer. I need and thus own a heavy-duty diesel truck to tow it. But I surely wouldn’t recommend my vehicle to somebody who only needs a commuter vehicle. That’s why we have everything from SmartCars, to sedans, to SUVs, to dually diesel trucks. The same goes for radios. Some people will absolutely need SSB, others may demand SYNC (neither of these units has this feature!) while others may choose a radio based on size (compact for travel or larger models with a large, easy-to-read display for desk or tabletop use). Until now, I felt the video comparisons we had for the S-8880 were comparing a truck to an SUV to a sedan. At least now we have a few videos of two lunchbox radios compared side-by-side. True, one (the S-8800) is fully loaded (in vehicle terms: a 4×4 with a touchscreen GPS and DVD entertainment system). But not everyone who requires a truck needs a 4×4 with GPS and DVD entertainment system. Some truck owners prefer the smoother ride from a 4×2 truck. I think that’s the best way to describe these lunchbox receivers. Am I glad that I bought the Eton Field BT? For me – despite the cumbersome tuning of the Field BT – I feel the S-8800 is not worth 2x the price of the Eton (I got an even sweeter deal for my new, sealed box Field BT off eBay that was well under the $129.99 street price). But you can make your own decision, you can decide which features are must-have, and you can listen to these videos as well as the other videos that Thomas has already posted and determine if one of these lunchbox models are in your future. And because I learned so much regarding the video recording of shortwave signals (I suffered from tunnel vision while recording – not fully aware of what I caught and what I missed), I hope I can meet-up with Thomas again so I can do a better, more thorough job with a “Lunchbox Comparison, Deuxième Partie” (that French was for Thomas – I hope I got that correct!). Thanks for putting together this comparison, Troy! It was great hanging with you last week on Mt. Mitchell! The Tecsun S-8800 is only available worldwide via Anon-Co at time of posting. Eventually, they will begin appearing on eBay. There are retailers in Australia and Europe also selling the model (Important: make sure you’re ordering a model from the latest production run which solves the DSP birdie problem in early units). The Grundig Edition Field BT is available from a variety of retailers including Universal Radio, Amazon.com, Crutchfield, Adorama and others. Occasionally, like Troy, you can find excellent prices on the Grundig Edition Field BT via eBay. 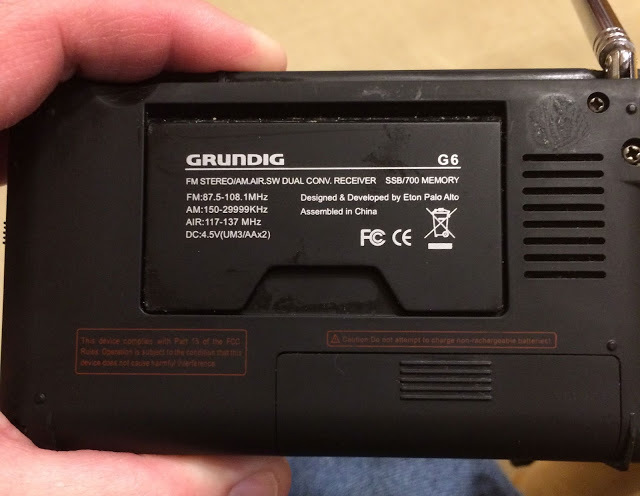 This entry was posted in AM, Guest Posts, News, Radios, Reviews, Shortwave Radio, Shortwave Radio Reviews, Videos and tagged Eton Field BT, Grundig, Grundig Edition Field Radio, Mount Mitchell, S-8800, Tecsun, Tecsun S-8800, Troy Riedel on October 13, 2017 by Thomas. 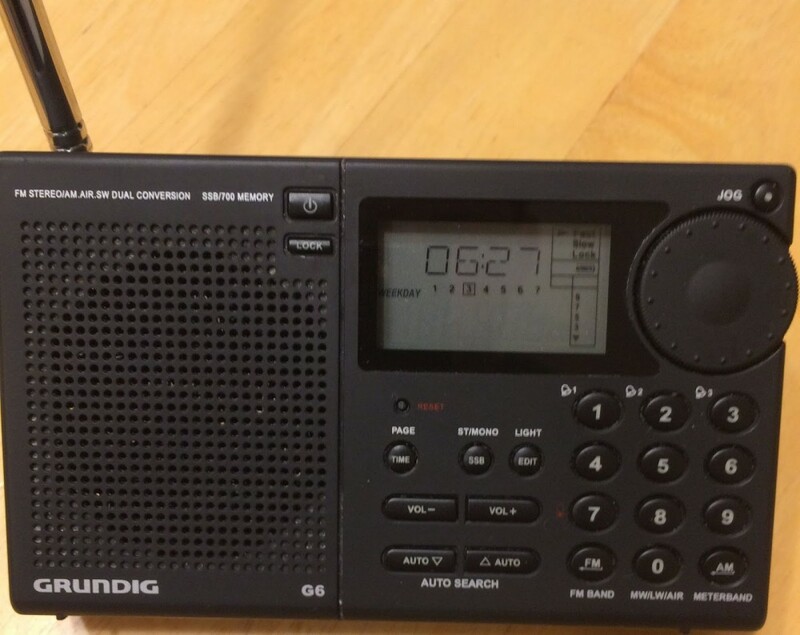 I was a little surprised to see a batch of new Grundig G3s selling for $79.99 on eBay. Given the quality issues with the G3 it may be a bit of a risk but what a great deal if you could get one that works. I have enjoy mine but ended up having to return the first one I bought due to issues with the sync. Thanks for all you do, I always appreciate your website! Many thanks for the tip, Steve! You’re right, if this batch of new, un-opened radios is from the last production run of G3s, there could be inconsistency in quality control. The seller, hileydeals, has a 99.6% positive rating and offers, “14 days money back or item exchange, buyer pays return shipping.” So, if you purchase a G3 and feel it’s not performing up to spec, then you could return for a full refund within 14 days, but you’ll be out your return shipping. The rubberized coating on the G3 is also prone to develop a sticky residue with time. We’ve posted a number of cleaning solutions–click here to read. I’ve owned a total of three Grundig G3s over the years and have never been displeased with one. I may have simply been lucky. In fact, the G3 was my go-to travel portable for quite a few years. I gave two G3s away and still have one here in my collection. It’s a sensitive little radio and certainly worth the $79.99 price (if not one of the faulty units). If you have any questions about this offer, and are considering biting the bullet, you should contact the seller prior to purchasing. It appears they have a number of units in stock. This entry was posted in Deals, News, Radios, Shortwave Radio and tagged eBay, G3, Grundig, Grundig G3 on April 4, 2016 by Thomas. 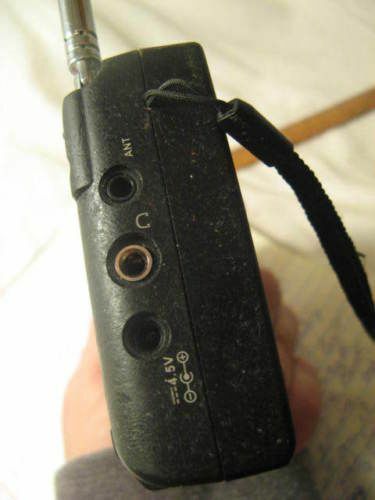 A few weeks ago, I reached out to Danny Garris, KJ4FH, for help on getting the sticky coating off of my Eton E5 radio. I noticed on eBay that he was selling Eton radios with the gunk cleaned off and I was wondering how he did it. Where does the sticky gunk come from? Well, for some reason the “geniuses” up at Eton/Grundig put a rubberized, chemical coating on a series of radios they released. They looked great new but over time, them coating seems to get adhesive-like properties, almost like it is melting off. It apparently has something to do with humidity and over time it makes everything stick to the radios – dust, dirt, you name it. It’s terribly annoying and just plain nasty. Shame on Eton/Grundig for doing this because a whole generation of good radios are impacted. This leads me back to Danny and the instructions I have posted below in my Dropbox with his permission. I used rubbing alcohol at first on my Eton E5 based on some back and forth emails I had with Danny and it did remove a ton of the gunk but I also ended up with places in the finish where the paint was removed, as he warned. Still, my concern was getting rid of the gunk more than appearances since my Eton E5 is a radio I use almost daily that I have no intention of selling. In fact, I am keeping an eye on eBay for a spare unit to purchase just in case because the E5(also Grundig G5) is an amazing radio. Not long after getting his full instructions with oven cleaner as a new ingredient to try, I noticed a Grundig G6 for sale on eBay for just $19.99 as a buy it now price. I briefly had a G6 years ago and I have always missed it but good units are typically somewhat expensive and rare. This G6 was advertised as working perfectly but completely sticky. 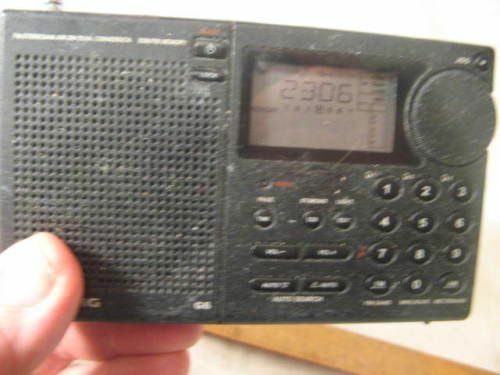 The seller posted pictures showing it was one of the stickiest and nastiest radios I had ever seen. But, armed with Danny’s method for cleaning the radios, I grabbed it, knowing I probably would not get another chance at a G6 for such a cheap price. Below are before and after pictures. The before pictures are from the eBay auction and the radio did in fact arrive that nasty but it does work perfectly! In fact, it is a fantastic performer for the size. I love the tuning knob and the tuning method alone makes it much easier and more fun to use than my Tecsun radios and my recently purchased Eton Traveller III. The G6 is a worthy companion for my Eton E5 and I am very pleased with this purchase. The after pictures are from the hour of work I did cleaning the radio last night. So far I have cleaned the radio with oven cleaner only. I took about 45 minutes using the Q-tip method and then about 15 minutes “polishing” with a clean white cloth dipped in oven cleaner as I went. I still have some additional detail cleaning to do but the results so far are like night and day. I owe Danny a big thank you as you can see in the images below and, keep in mind, I still have a bit more work to do so this radio is going to look even better shortly! Here is the front as shown in the auction. Gross! According to the description, the seller bought it at an estate sale. What a difference some over cleaner makes! I need to blow out the speaker with compressed air to get the Q-tip remnants out and do some minor detail work but the front is almost in new condition now. As shown in the auction listing, yuk! I may do a little work with rubbing alcohol or WD-40 to get the shine back on this side but wow – what a difference! I wonder if this radio was laying in the grass or something. It was nasty to even pick up and touch! After oven cleaner, it’s like new again. I need to do a little more detail work but that’s it! This picture in the auction made me wonder if I was biting off a bit more than I could chew! I still have a bit of work to do on the back but WOW! What a difference! What a difference, indeed! Thanks for sharing your experience and results, Danny! I love my little Grundig G6 and, for some reason, the coating has yet to become properly sticky. I know it’s only a matter of time, though, so I’ll keep this procedure in mind. This has actually been a fairly popular topic on the SWLing Post, no doubt because so many SWLs have radios with tacky coatings. Click here to read previous posts with cleaning techniques. 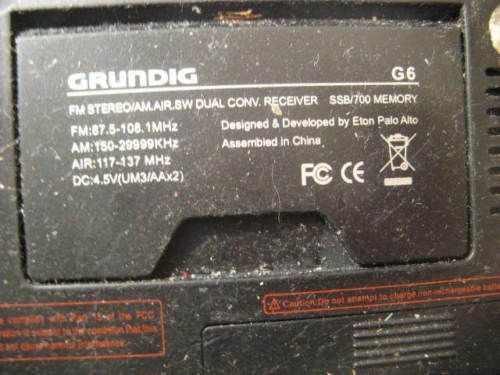 If you’re interested in the now discontinued Grundig G6, check eBay for listings. Perhaps you too can find a “sticky” radio special! 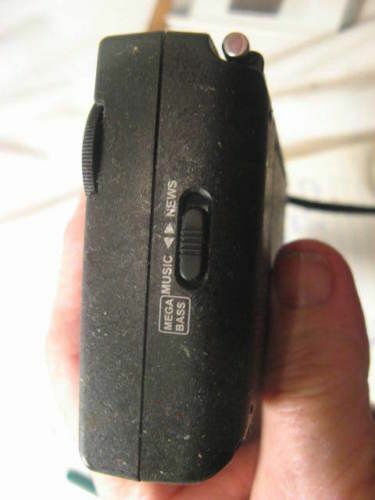 This entry was posted in How To, News, Portable Radio, Shortwave Radio and tagged Danny Garris (KJ4FH), Etón, G6, Grundig, Grundig G6, How to clean sticky radios, Sticky Radios, Sticky Shortwave Radios on March 8, 2016 by Thomas.